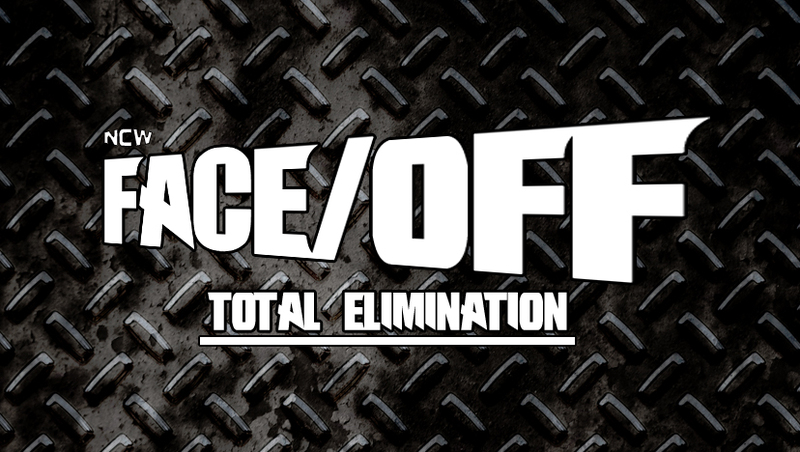 On Friday night September 26th Northeast Championship Wrestling returned to the Elks Lodge in Norwood, Massachusetts for NCW FACE/OFF: Total Elimination! 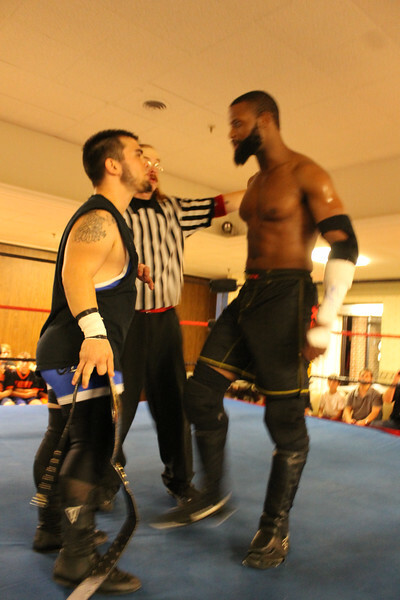 In the night’s Main Event the Lumberjake went one on one with his former friend and tag team partner “Ruthless” Ruy Batello. David Loomis was eliminated by “Bam” Brandon Behm in a huge upset following a vicious spear on the unsuspecting Loomis. Brandon Behm was eliminated by Eddie Loomis via a devastating release German Suplex. Eddie Loomis was eliminated by “The Maine Event” Scotty Vegas. Scotty Vegas was counted out from the match before both men were counted out. “Black Magic” Sean Feeney walked out on Dominic Delano, leaving him high and dry against Paiva and the NCW Heavyweight Champion. Dominic Delano was eliminated by “The Original Showoff” Mike Paiva. 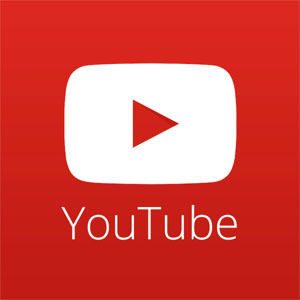 – “Dastardly” Doug Summers (w/ Ashley Vox) and Deputy Commissioner Richard Pacifico wrestled to a No Contest when both men refused to obey the orders of NCW official David Montenaro. While Summers was hesitant to get into the ring with Pacifico, once he saw an advantage into the match “Dastardly” Doug gleefully took his shots on the Deputy Commissioner. Once the match was thrown out both Summers and Ashley Vox assaulted Pacifico, bringing out Commissioner Dean “The Beast” Livsley and a slew of officials to break up the madness. 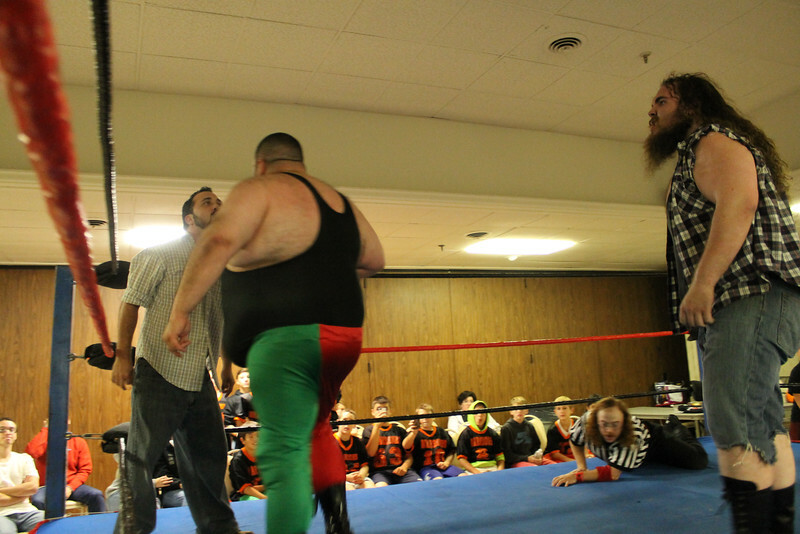 Livsley has promised to get this situation resolved when NCW returns to Norwood October 10th for NO FEAR. An irritated Scotty Vegas then joined Tom Warren on commentary before the Iron Man Match. – NCW New England Champion Rob “The Giant” Araujo d. “Simply God’s Best” GA West two falls to one in the closing moments of their 30 Minute Iron Man Match to retain the NCW New England title. 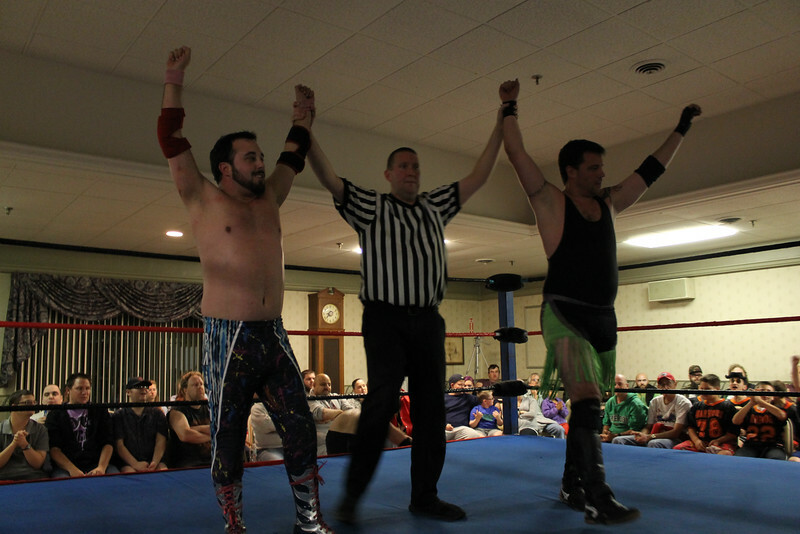 Both men fought tooth and nail, with Giant finally gaining an advantage late in the match after Doc Ozone and GA’s brother Brandon West were thrown out of ringside. Following the match Giant gave a show of respect to his rival after the war they had just encountered. 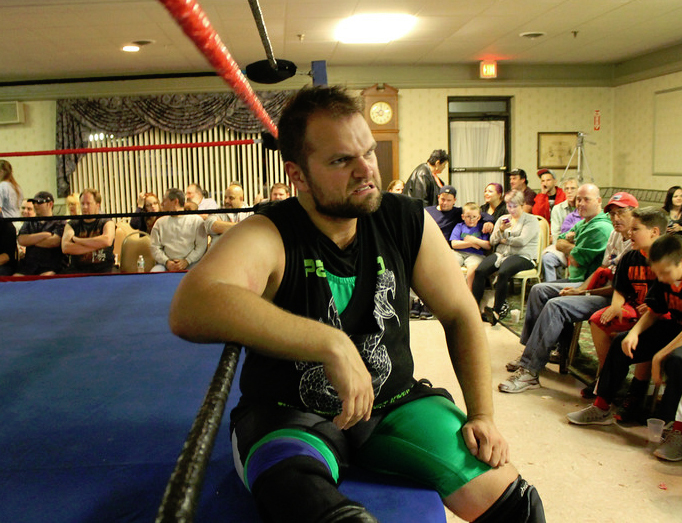 In his NCW debut Ian Griffin was eliminated with a rollup by “The Turtle”. “The Fitness Man” Dan Terry was eliminated by Shay Cash following a senton bomb by Shay Cash. Triplelicious was eliminated by Frank Champion. – In the night’s Main Event, the Lumberjake d. “Ruthless” Ruy Batello after hitting him with his own version of the ‘Samoan Drop’ on his former partner. Before the match started Jake told NCW official Redd Roche that if he disqualified Ruy or himself, they’d no longer be friends. With the rules out the window both men brutally assaulted one another, with Batello signaling in on Lumberjake’s shoulder. After not being able to put Lumberjake away, Batello brought in a steel chair to use only to have Redd Roche attempt to stop “The Ruthless One.” Knocking Redd down, Batello was about to destroy Jake’s shoulder until Mike Paiva entered the fray, snatching the chair out of Ruy’s clutches and staring him down. Batello then walked right into Lumberjake’s ‘Samoan Drop’, laying out Batello and getting the three count. Previous PostWHAT A SCOOP! 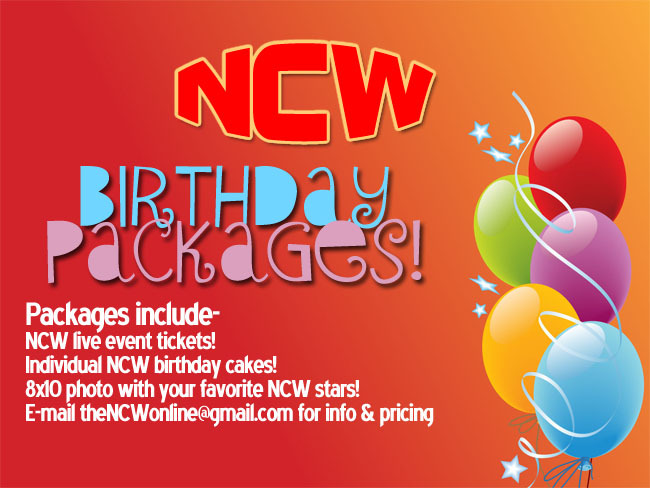 The Wrestling RundownNext PostPRESS RELEASE: NCW Returns to Norwood October 10th!